Hello guys, if you are looking for some free resources e.g. books, tutorials and courses to learn and master new features introduced in Java 8 and Java 9 then you have come to the right place. In past, I have shared some of the best Java 8 tutorials and books and in this article, I am going to share some of the best, free Java 8 and Java 9 courses from Udemy and Pluarlsight with you. These courses are pretty similar to many paid courses you normally buy and many of these are made free by just promotional or educational purpose by their instructor. You can join these courses to learn JDK 8 and JDK 9 features in a couple of days. I used to start learning with books a couple of years back but nowadays, online courses are my preferred way of learning. There are so many good free courses available on Udemy, which you can join to enhance your knowledge. Though, sometimes, I have noticed that free courses turn into paid courses, especially after the instructor reaches their promotional targets, hence you should check the price before you join these courses. A good idea is to join these Java 8 and Java 9 courses now while they are free. Once you are enrolled in the course, you will have a lifetime free access, even after it is turned into a paid course. Which means you can learn whenever you want. Even if you are not learning now, you can learn later when you have got some time or priority changes, there is no harm to that. Though, it's better if you finish them early and leave review and feedback to their instructor as a token of appreciation. It feels bad if an instructor see a lot of candidates join the course but no one finishes it. When you take the course, learn something from them and leave reviews then it makes everyone happy, much like a win-win situation. Btw, these courses only focus on Java 8 and Java 9 changes, for a complete Java learning a recommend The Complete Java Masterclass course on Udemy. It's not free but it's worth of every penny you spent. It is the most up-to-date course and recently updated for Java 11 as well. I have bought it last year on just $10, not really expensive. Why learn Java 8 and Java 9? If you are thinking what is the benefit of learning new features of Java 8 and Java 9 then let me tell you that if you want to be relevant as a Java developer in today's job market, you better learn Java 8 now. I have mentioned this early in the year on my post about 10 things Java developer should learn in 2019 and I am saying it again, learn Java 8 soon er than later. It's been more than 4 years since Java 8 was first released and it was received very well by Java community because of several interesting features and language enhancements like lambda expression, Stream API for bulk operations, new Date and Time API for better handling of dates, Default and Static methods on interface, Method reference, and many more such features. Nowadays, more and more company are adopting Java 8 style of coding and if you don't know write code in Java 8 style e.g. using lambda and functional programming concepts, you will be left behind. Not just they are essential to be relevant it also improves your productivity and makes writing Java code fun once you know the basics and that's where these courses can help. Coming to Java 9, it didn't have the spark of Java 8 but still packed up with some interesting feature e.g. Modules and some API enchantments. Knowing those feature will eventually help you to write better Java code and create a better application in Java. Here is my list of free online courses to learn Java 8 and Java 9. This list includes courses which are suitable for a beginner as well as experienced Java programmers who are not familiar with JDK 8 and JDK 9 features. It's not required for you to attend all the courses, you can watch a preview and make a decision whether to join or not. At a bare minimum, you can join one course on Java 8 and other on Java 9 to get yourself up-to-speed. And, since these courses are absolutely free, you have nothing to lose by joining them. This is an excellent Java course for beginners especially those who are starting the first time. It covers the latest version of Java i.e. Java 9, well Java 10 is already out in less than 6 months but I don't expect online courses to change that faster. If you want to learn Java from scratch you can join this course. You will not only learn new features of Java 8 and Java 9 like functional programming, lambdas, and streams but also other important concepts of Java. Btw, You will be really lucky if you get this course for free because I am sure instructor Ranga will make this course paid very soon, once he reaches his promotional target. I see, more than 31K students have already joined. Anyway, I personally like Ranga's teaching style and the way he presents concepts e.g. JShell in this course and Spring concepts in his Spring Framework course. You will learn a lot in quick time, there is no doubt about it. 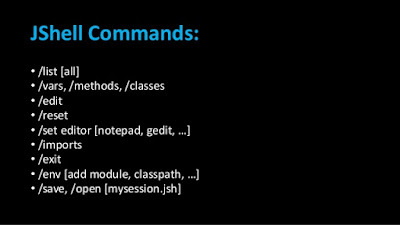 This is a very short course to learn some key features of Java 8 e.g. lambda expressions, method references, functional interface, default methods, Stream API, Optional class etc. You will not only learn those but also new Date and Time API and other less popular but useful changes. Even though this course doesn't provide a comprehensive overview, you can check this out for a quick overview, especially if you are in rush and don't have much time to spend in self-learning. This is a rather more comprehensive course on Java 8 and it covers almost all the features you need to know. The author Josh Paumard has 20 years of experience in Computer Programming and that shows in this course. 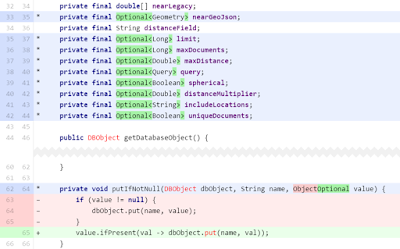 You will learn about how lambda expressions and Stream API makes coding in Java fun again. It not only covers major features such as Date and Time API but also small API enhancements like StringJoinger and join method on String class for joining Strings in Java 8. You will also learn about JavaFX and JavaScriping using the Nashorn engine. Overall a great course to learn Java 8 but the course is not exactly free. It's from Pluarlsight and you need a membership to get access to the course. The only way you can get access to free is by signing up for a 10-day free trial, which is not bad. Also, Pluralsight membership is worth of money, you get access to more than 5000+ courses at just $29 per month. There is also a good chance that your company might have a Corporate Pluarlsight license and then you can get this course as free on your company account. This is another awesome free course to learn Java 9 features. Unlike the previous course which teaches you Java from scratch, this course only focuses on new Java 9 features. It's actually recording of classroom hence it's better than other screen-based courses. The instructor is also very enthusiastic, you won't feel bored and sleepy. Coming to the content, this course covers Java Shell, Modularity, Enhancement on Java Stream and Process API, Factory method on Collections, my favorite features, HTTP 2 client changes, and G1 Garbage collector enhancements. Overall it covers every single Java 9 feature which you should know. This is another awesome course to learn Java 9 features. In this course, Sander Mak, author of the popular book Java 9 Modularity has explained some important Java 9 changes. The course is divided into 6 sections, the first section covers Java Modularity and since the instructor is also the author of a book on Java Modularity you can expect this is the most comprehensive coverage you are getting. In fact, his explanation is quite good compared to a difficult topic. The second section focuses on a more interesting and interactive change from Java 9, the JShell. 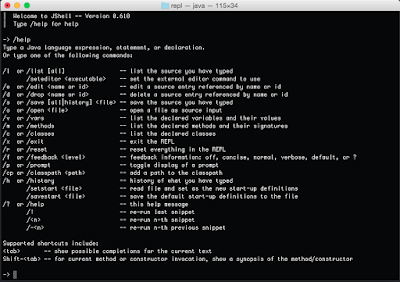 You will learn what is REPL and how to use JShell by following demos. The third section focuses on small language and library improvements e.g. changes on Stream API, Options, Factory methods on Collections and other improvements. This is the section you would love because you will be using these changes in your day to day life. the fourth section focuses on HTTP/2 and Process API changes while the fifth section focuses on Desktop Java Enhancements e.g. JavaFX updates. The sixth and last section focuses on Performance and Security enhancements and explains G1 Garbage Collection changes and Compat String feature introduced in Java 9. As with any other Pluralsight course, you need a membership to join this course e.g. a monthly or annual membership. Though membership doesn't cost much e.g. $29 per month to access their 5000+ courses, you can still get this and the Java 8 course free by signing up for a 10-day free trial, which is more than enough to complete these courses. That's all about some of the best, free courses to learn new features of Java 8 and Java 9. I strongly encouraged to take at least one Java 8 and one Java 9 course to get yourself familiar with new features, particularly the JDK 8 features like lambda expressions, Stream API, Collectors, Optional, and new Date and time API. Thanks for reading this article so far. If you find these free Java 8 and Java 9 courses useful then please share with your friends and colleagues.